If you’re looking to get the most out of your YouTube channel by cranking out a lot of videos, you’ll need to use an intro maker to quickly and easily slam some of your brandings onto the start of every video. In this article, we’ll take a look at the best 13 YouTube intro makers and explain why each is worth checking out. Renderforest is a great intro maker because it offers a huge number of simple templates which you can easily append bells and whistles to. Renderforest will give your videos the appearance of professionally animated content in a few clicks. Like many competitors, Renderforest is free and offers a lot of customization options which you can quickly implement once you’ve picked the template. You’ll be able to nail whatever tone you want in your intro by playing with the lighting, speed, and templated animation options. Like most of the other intro makers, some of Renderforest’s templates are better than others. In particular, the particle-effect heavy templates don’t look that great on Renderforest. Keep things relatively simple, avoid dynamic light sources, and you’ll be fine. Renderforest’s templates go beyond making intros, which can be useful if you have other animation or graphics needs. You can easily make an animated explainer video, slideshows, space-themed backgrounds, or basic DIY cartoon animations. Tube Arsenal’s strength is its selection of abstract flat design templates, which are extremely aesthetically appealing. Tube Arsenal also gives you access to a few particle-effect laden templates, some of which are pretty good. The drawback to Tube Arsenal is that the customizability of each template is quite limited. To use it, you’ll need to pay on a per-intro basis, which is relatively cheap at $9 but could quickly get expensive if you have several brands. It’s important to note that if you want your intro animation to be in HD you’ll have to pay an extra two dollars. There are a few deals and offers which you can use to get a single free intro, though, so if you’ll only need one you can probably get it free. The free offers might not include high definition, however. Panzoid has an excellent and deeply featured editing suite which you can use to easily modify any of the templates on the site. The editing suite at Panzoid is intuitive to use, and it’s easy to iterate a few different ideas to see what works the best. Panzoid is free to use. Their template library is quite limited and tends to be composed of simple logo presentation animations rather than fully fledged animations. You can also use Panzoid to edit other videos and make custom backgrounds and other art for your Youtube channel. If your channel is just getting off the ground and you’re looking for a one-stop shop, Panzoid might be the right choice for you. More established channels looking for an intense animation to put in the introduction probably won’t be able to find what they’re looking for at Panzoid. It’s worth using Panzoid’s editing suite to play around and generate ideas, even if you end up going elsewhere for your final product. Filmora is the Cadillac of intro makers and is a fully-fledged video editing and animation creating studio that successful channels will get the most use of. If you’re not scared by the price tag, Filmora probably has a lot of features that you can use, but they’re pretty complicated. There are tons of effects and motion elements that you can implement, with more available for purchase. Unlike most other intro makers, Filmora comes with quite a few musical tracks which you can use for your intro. Filmora also has a mobile application, which may be useful if you plan on doing some light animation on the go. Biteable is a no-nonsense intro maker which makes up for its lack of individuality by its ease of use. Biteable is free and is effective at making 2D animated intros that look polished if a bit bland. If you’re fine with having Biteable’s watermark on your intro, it can be a cheap solution. Thankfully, Biteable has a niche: people who need the ability to create a lot of relatively similar intros to separate serial content on a channel. You can easily modify your intro to be specific to each video that you produce, which would be very hard to do with a more complicated 3D animated intro maker. If your channel is composed of lectures, speeches, blog entries, or similar content, Biteable can be a quick and easy solution for you. Biteable will work the best for when your viewers are being referred directly to each video, or perhaps to a playlist of videos all containing videos along the same theme. If you’re looking for an eye-catching or viewer-wowing intro that goes beyond simply describing the content, you should look elsewhere. RenderFx’ Gaming Intro Maker is the maker to go to if you’re looking for flashy particle effects that will get your viewers amped for the content to come. Though some of the animations aren’t the most original, they’ll do the trick for anyone interested in having a 3D animated intro with their logo. Unfortunately, RenderFx’ Gaming Intro Maker isn’t the most intuitive to use, nor is it the most flexible. It’s easy to get confused while inserting images into your video clip or trying to get your video to render. You’ll need to accept that the template animations which RenderFx offers are nearly immutable, lest you struggle against the interface. If you’re still interested in struggling, YouTube has an abundance of walkthroughs on the RenderFx platform which you can jump into and get some guidance. Intro Cave offers a different spin on the video maker concept by allowing you to pick a base video, splice in your content, and then render it for downloading. 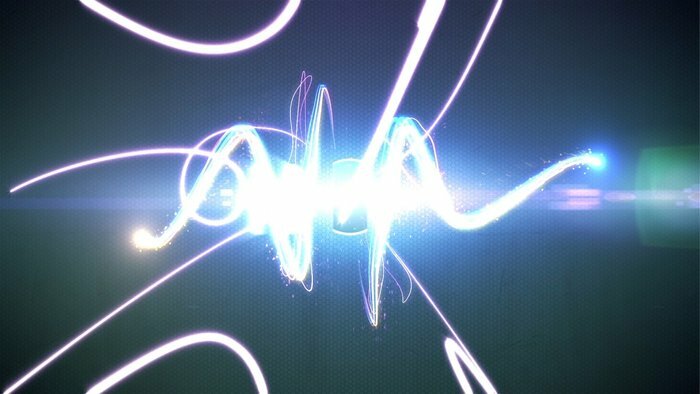 There are a lot of beautiful particle effects that you can easily commandeer for your logo, but you’ll end up looking a lot like any other video made with the app. Intro Cave is extremely easy to use and is free if you are okay with standard definition and a watermark. Yes, this is yet another service where you’ll have to pay to get rid of the watermark on your intro video. Higher definition videos will cost you anywhere from $5 to $20, which isn’t so bad if you plan on only making one intro for every video on your channel. Unfortunately, right now Intro Cave only accepts PayPal for payment processing, so if you don’t have a PayPal account, you’re out of luck. Flixpress is a great intro maker for small businesses who can see themselves making multiple videos over the course of a month. Their pricing plan is a bit confusing, and it bears mentioning up front: you’ll have to pay to use this service, as the free option has few features. If you can see your YouTube channel producing less than 10 minutes of video introductions per month, you can get away with paying less than a dollar per month, which is quite inexpensive. This pricing tier might be perfect for educational channels. For commercial rights to your video intro created with Flixpress, you’ll need to shell out at least $10 per month, however. You’ll have access to a bunch of infomercial-like animations, backgrounds, and other content when you use Flixpress. Likewise, you won’t have to waste much of your time while using Flixpress—it’s very straightforward, and you can easily iterate on templates. If you’re looking for flashy animations or entertaining features, look elsewhere—Flixpress is meant for business. Wideo is a great tool for making simple cartoon animation videos for your channel, which may serve the same purpose as a traditional introduction. It falls into the moderate ease of use category, as it’s deeply featured but not necessarily well documented. You won’t have any major troubles making animated videos with the app if you set your mind to it, however. You can easily make templated animations in great volume without expending much additional effort per video. It also comes with a seven-day trial, which is more than enough time to figure out whether it’s right for your needs. If this doesn’t intimidate you, Wideo is a great way to bring a lighthearted touch to your channel’s introduction. Ivipid is a straightforward intro maker that is best for just-for-fun channels that don’t have any commercial aspirations or hopes of viral appeal. You’ll be able to make channel introductions that are customizable mimics of the MGM lion’s roar and other Hollywood studio intros and outros. These videos are easy to make and reasonably customizable, but your selection of templates is rather limited. Ivipid’s pricing scheme uses credits, which means that each option you pick on your video has an associated credit cost. You purchase chunks of credits, with the “most popular” credit package costing $7. If you want a higher definition video, that’ll cost you more credits. There’s no free option, so it may scare people off despite its relatively low prices. A few bucks might be a good investment if you like the comedy shtick. Intro Champ is a no-frills video intro maker which charges by the template. Most templates are $5, and end up looking decent, if a bit stereotypical. There’s not a ton of customizability with Intro Champ, but you get over 300 templates to choose from. The templates range from the flashy particle-effect introductions loved by gaming channels to the more austere logo fade-ins or lightly animated text. Some of the animations in the templates look like they’re very high quality, though it’s in the eye of the beholder. It’s clear that not all of the templates are created equal. Some feature outright bad animations reminiscent of early CGI, whereas others show somewhat polished animation and careful use of particle effects. You’ll have to scrounge to find the right animation for you. Intro Champ’s main appeal is that you can go from thinking about making an intro video using your logo to having a video with your logo in less than five minutes for only $5. Intro Maker is a lesser known intro making service which is simple and specializes in abstract animations to pair with your logo. You’ll pay upwards of $5 depending on which animation template you decide to use. It’s possible to make good looking and clean intros with Intro Maker. You could use this service to make an intro for your business just as easily as you could use it to make an intro for your personal channel. There isn’t a lot of customizability to each of the templates, but Intro Maker makes up for it by being easy to use and have relatively good results on average. Videobolt is a quick and effective intro maker which offers a wide selection of expensive ($30) yet good looking templates that you can customize to your liking. Their design gallery has offerings which run the gamut from flat-design animations to cleaner corporate logo animations. If you’re interested in making a flashy particle effect video for your gaming channel, Videobolt can do that too. The versatility of the service is part of the reason why it carries such a high price tag on a per-video basis. If you’re not afraid of the up-front cost, it is a great choice for practically any application. Now you know a little bit about some of the best intro makers out there. It’s time to put your knowledge to use. Jump into action with the video makers that we’ve described today and try out two or three until you find the one that works best for you.